A genomic classifier is now available that can predict a low or high risk for metastasis in men with prostate cancer who have rising prostate-specific antigen (PSA) after a prostatectomy. The good news is that this test is reimbursable by Medicare. The test is performed on the surgical specimen, and enables treatment decision-making in the salvage therapy setting for men who have had surgery and then experience a rising PSA. Men with a low genomic classifier score can safely delay radiation therapy and may not need further salvage therapy, whereas a high-risk score signals the need for more intensified therapy, such as early radiation plus hormones. In a recent study presented at the 2015 Annual Meeting of the American Society for Radiation Oncology, the genomic classifier score correctly identified low-risk and high-risk men after a prostatectomy who were treated with salvage radiation therapy (with or without hormones); the sensitivity of the score was independent of the patient’s PSA level. “Patients with low GC score have an excellent prognosis with salvage radiotherapy and may avoid concurrent hormonal therapy. This group can safely delay salvage radiotherapy, whereas those with a high GC score are at significant risk for metastatic disease and may benefit from intensified systemic therapy. Integration of GC into clinical practice can impact on decision-making in the postprostatectomy setting,” Dr Den noted. Decipher (GenomeDx) is an RNA-based test that incorporates 22 genomic markers and is used after prostatectomy in men with rising PSA. Two other RNA-based genomic tests are available in prostate cancer, including Myriad, by Prolaris, and the Oncotype DX Genomic Prostate Score, by Genomic Health; these tests assess biopsy tissue before making primary treatment decisions. The retrospective study included 170 men treated with salvage radiation therapy (with or without hormonal therapy) at Thomas Jefferson University, Veterans Affairs Medical Center Durham, and the Mayo Clinic. The median age was 61 years (range, 39-75 years). Approximately 42% were Gleason 7 (3+4) and 24.7% were Gleason 7 (4+3). 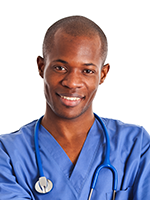 More than 30% of the men were African American, a group that is not well-represented in clinical trials. Approximately 20% of the study patients were receiving concurrent hormone therapy as part of their salvage treatment. 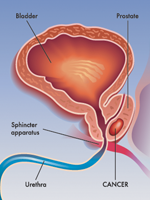 In all, 80% of the patients had clear surgical margins after prostatectomy. Salvage radiotherapy was defined as radiotherapy given if the PSA was >0.2 ng/mL or after salvage androgen-deprivation therapy. Early salvage radiation therapy was defined as given when the PSA was 0.2 ng/mL to 1 ng/mL, and late salvage radiation therapy was defined as given when the PSA >1 ng/mL. The investigators compared the genomic classifier with 2 different nomograms based on clinicopathologic features (Briganti and Cancer of the Prostate Risk Assessment). Decipher was the most significant prognostic factor for the development of clinical metastases. Regardless of the patient’s PSA level, there was no difference in the cumulative incidence of metastasis in patients with a low-risk genomic classifier score, independent of salvage radiation; in low-risk patients, the rate of metastasis at 10 years was <10%. 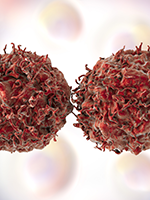 By contrast, high-risk men who received early salvage radiation therapy had a 15% cumulative incidence of metastasis at 10 years, whereas those treated with late salvage therapy had a 33% cumulative incidence of metastasis at this time point. The study was limited by its retrospective design and by a lack of data on cancer-specific mortality.